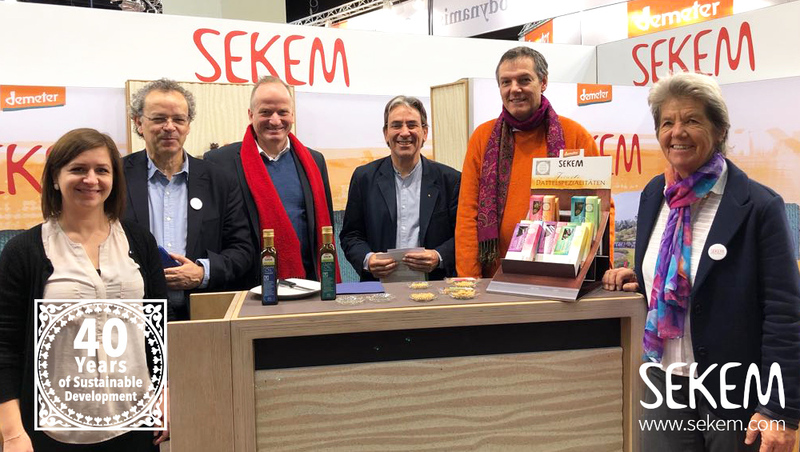 As in previous years, SEKEM Initiative was also represented in 2018 with a booth at BIOFACH, the world’s largest fair for organic products. This year’s focus was on presenting the new SEKEM product line. Starting with teas, oils, legumes or dates, to artichokes or olives – SEKEM offers now for the first time many different products under a SEKEM brand, which are all directly produced in Egypt. The product range is supplemented by date confectionaries and spreads as well as sesame bars from SEKEM’s partner company Davert. Starting in March, the products will be available in Germany in SEKEM’s new Online Shop. In addition, the marketing of the new SEKEM brand is prepared in Italy. Other new products had been shown from SEKEM‘s company NatureTex: crochet and knitting yarns made of organic cotton in many bright colours. The yarns are also planned to be offered in SEKEM’s new online shop within this year. The One World Network of Bavaria at the SEKEM booth. Several SEKEM employees were available to answer questions or meet old and new partners. Hence, for example, a group from the “One World Network Bavaria“. 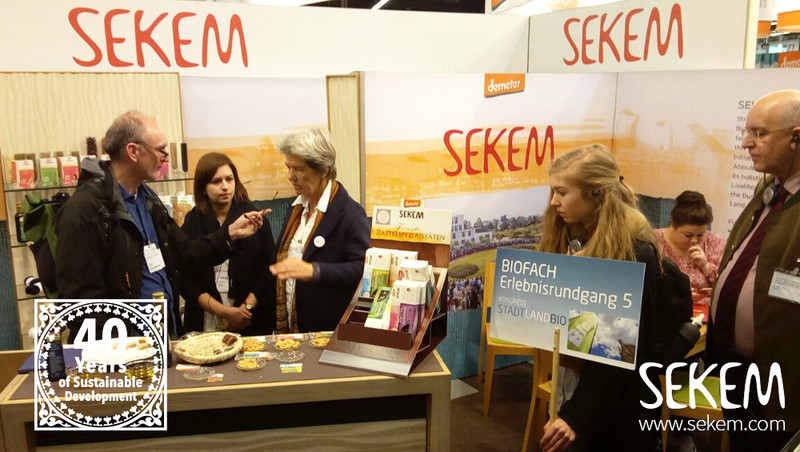 visited the SEKEM booth and learned about the sustainable activities of SEKEM Initiative. 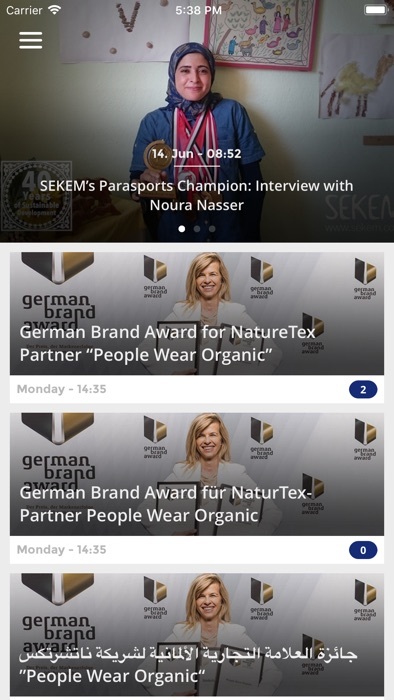 At a press conference of the “Bund Ökologische Lebensmittelwirtschaft” at the beginning of the fair, SEKEM‘s CEO Helmy Abouleish talked about the opportunities that are offered by organic agriculture worldwide for farmers, the environment and the climate. And in a conference of Demeter International, he spoke about the development of an associative economy. 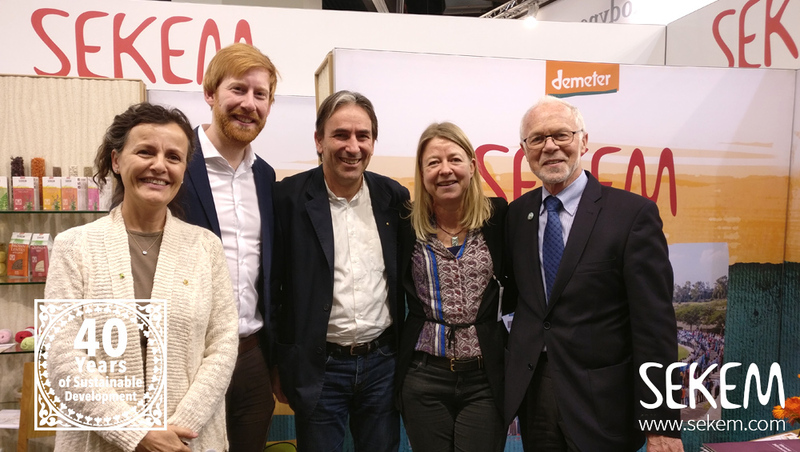 The BIOFACH 2018 was a wonderful opportunity for SEKEM to see many old friends and partners again and to get inspired by the new developments in the organic sector.